How to set up a reliable Mesh WiFi system in 780m2 (approx. 8396 sq2) ball room? According to statistics, the number of internet devices each person has is gradually increasing every year and we are heading toward a generation of IoT (Internet of Things). Therefore, whether in public areas or inside your house, the networking environment has become busier, denser and it requires a powerful back-up technology to support heavy network traffic and to maintain quality Internet connectivity. ASUS introduces the most power Mesh whole coverage WiFi system to meet your needs. Next, ASUS will provide you a practical example of how to use and combine ASUS Mesh compatible routers to build up a powerful WiFi system. Each year, ASUS unveils incredible new products to the world in the big annual event, ASUS TekTrend. There was no exception this year at the 2018 ASUS TekTrend which was held on 6 June at Denwell Hotel Ball Room in Taipei City. With hundreds of journalists, presenters, and guests in attendance, ASUS came up with total solution to digest huge amounts of networking traffic by making use of our latest and powerful Mesh compatible routers. Ball Room Size: The ball room is a rectangular sized area 780m2 (approx. 8396 sq2) with no walls in the middle. Approx. Accommodation: Unlike standard meeting rooms for just 20 or 30 guests, the ball room can accommodate almost 200 people. We assumed that each guest had 1 to 2 devices simultaneously connected to the Internet. We then made an overall setup plan to deal with huge traffic in order to offer a quality networking experience. Safe Networking Issue: Providing a stable and safe networking experience for our users is our main priority. We are committed in making sure all the connected devices are both safe from attacks and under sound protection. One WiFi Name (SSID) Connection: Within a networking environment especially for business stage, one WiFi name for all guests is a vital element for an excellent networking service. ASUS strives to prevent different WiFi names from confusing users with attempts to search for available WiFi connections. 1. It is not easy to install network cables in the ball room because cables might be in the way of some equipment and have negative effects on the whole layout arrangement. Furthermore, it requires more time and efforts to install cables. 2. There is only one 100Mbps cable available for both the networking setup and live-demo router. This event demonstrated a real-life example as an applicable networking solution which gives users a quick overview of how to set up a WiFi system by choosing ASUS Mesh-compatible routers equipped with up-to-date functionality. The routers used for the live-setup placement: 1*RT-AC88U and 3-pack Lyra Trio. The following is the ball room layout and WiFi placement. We used the RT-AC88U as the main router connected to 100Mbps cable, and connected the Primary Lyra Trio (captain) as AP mode to RT-AC88U with a physical cable. With the compatible Lyra Mesh system, the Primary Lyra Trio wirelessly connected to the Secondary and Third Lyra Trio to form a whole coverage WiFi environment. The Mesh system helps us to overcome environmental limitations by connecting the captain to the nodes wirelessly and saves us time and effort of installing cables. The reason why the RT-AC88U worked as a main router was because it has higher routing ability with excellent AiProtection functionality which is apt to block external attacks and also protect connected devices within the network. Based on the Mesh network, we were able to configure the system under one WiFi name (SSID). For users, it is easier to recognize and identify which network is available with just one attempt. Furthermore, the Mesh network offers users a roaming experience as long as you are under the WiFi coverage area where it will automatically connect you to the best WiFi signal! Not long ago, wireless internet was rare, and finding it in a spot was amazing. You could walk around all day, trying to track down the few places with hotspots. Now, they are certainly more common and dead zones are rarer and rarer- you can even find wifi in parks, plazas, swimming pools, beaches, and mountaintops. But there are a few situations where you can find yourself in a tight spot and in desperate need of a solution. 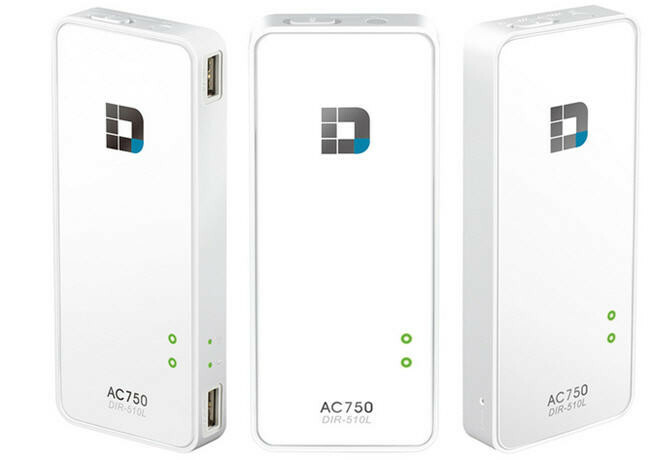 The D-Link Portable Router AC750 and Charger is a nice advance on the small, pocket-sized router concept that we’ve seen before- it’s the world’s first 802.11ac model, which offers both faster speeds and better range (if your device supports it). And it handles the three typical problem places for wifi- hotels and spots with ethernet only, networks that charge per device, and those spots where you don’t have any options but 3G/4G to share. At many convention centers, conference rooms, and motels- even expensive ones, maybe especially so- we’ve been stymied by the lack of in-room wifi, or have been traveling with an iPad or Macbook Air and no easy way to get on the provided ethernet. We were able to share a single connection easily, creating an instant network. And we liked the built-in pair of USB ports, which allows file sharing from a thumb drive, and also connecting a cellular internet dongle. Oh, and it can charge your phone too- though you’ll drain the main battery of course, so make sure you need it! It’s a fairly dense little guy, too, thanks to the hefty internal 4000 mAh battery that can recharge even your iPhone 5 from dead empty to totally full in a pinch. Operating on both the 5Ghz band and the older 2.4Ghz one, the only major downside we noticed is that the WAN port for connecting to local ethernet only supports speeds up to 10/100 rather than gigabit levels. We didn’t notice speed issues though- and were impressed at the range, able to get signal from a different room in several cases. Weighing in at under six ounces, the D-Link Portable Router is a great piece of gear to keep on hand for emergencies, a handy addition to your travel bag and the ideal gift to get a road warrior who relies on internet. Network professional D-Link announced a mixture router with 200Mbps energy collection networking and Wi-Fi referred to since the D-Link Hybrid Wireless-N PowerLine Router. The D-Link Wireless-N PowerLine Router (DHP-1320) blended wired and wireless residence systems in an IPv6-reader router which the organization says provides possibilities to extend residence system protection and appreciate high-bandwidth applications. 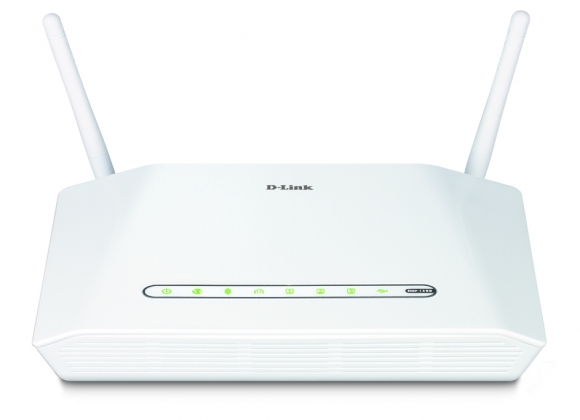 The DHP-1320 also qualities three 10/100 Ethernet ports, WiFi Protected set up (WPS), produced in QoS engine and is also centered on an Atheros chipset providing the firm’s Hy-Fi modern advances so which you can expand wireless coverage. D-Link also unveiled a raft of compatible equipment along the lines of the PowerLine AV 4-port change with 200Mb PowerLine networking. The unit is now accessible in North America and by means of the D-Link on-line store straight wiith an MSRP of $129.99.